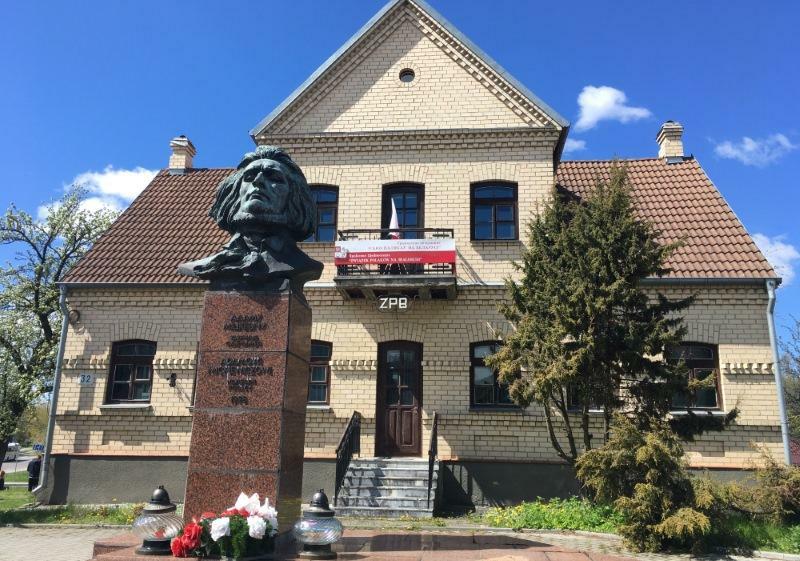 The building of the Union of Poles in Belarus with the monument of Mickiewicz was built at the intersection of '17 September' and 'F.Dzierzynski' streets. Feliks Dzierinski is a Polish and Soviet communist activist, creator and head of the first Soviet security organs, a symbol of terror in revolutionary and post-Soviet Russia. September 17th Street is named in memory of the armed assault by the USSR on Poland in 1939, after which Grodno was captured from Poland.